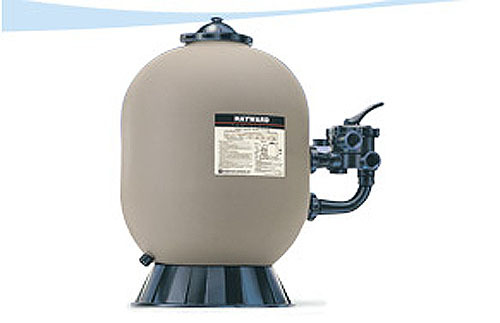 Pro Series sand filters also feature a self-cleaning 360-degree slotted lateral for totally balanced flow and backwashing. Their integral top diffuser ensures even distribution of water over the top of sand media bed with full size internal piping for smooth, free-flowing performance. So for crystal clear water with only minimal care, pool professionals choose Pro Series. * Top diffuser ensures even distribution of water over the top of the sand media bed. * 7-position Hayward Vari-Flo™ control valve with easy-to-use lever-action handle lets you dial any of the 7-valve/filter functions.